Well, who would have thought on December 3rd there would be something growing in the garden this vibrant and green. If you did think of something, you might not have thought it would be an herb. 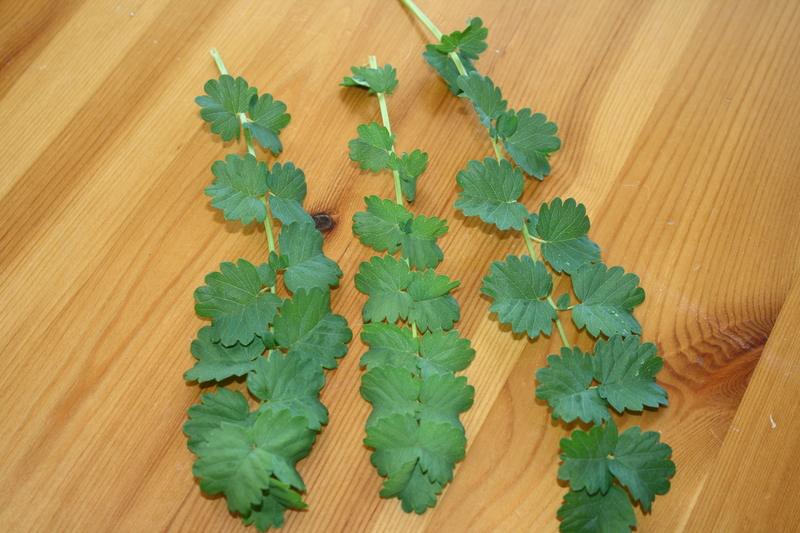 Salad burnet is a new herb, for me, that has been the easiest herb (maybe other than chives) to grow. In milder climates, like mine, it has been known to over winter while in colder climates it is a perennial. I sowed the seeds directly into the garden in the spring and here is the best part folks, really did nothing to it at all. The feathery leaves are reminiscent of cilantro leaves. I know, I know. But what does it TASTE LIKE? Well, it has a mild cucumber flavor. You will want to harvest the tender leaves as the older ones can be bitter. When the leaves are about 4 inches long they are ready. And the best part is you don’t get the “burpiness” like some cucumbers can give you. The plant will produce dark pink flowers in late Spring to Summer and can be used as a garnish only as they are flavorless. My plants have not flowered yet. 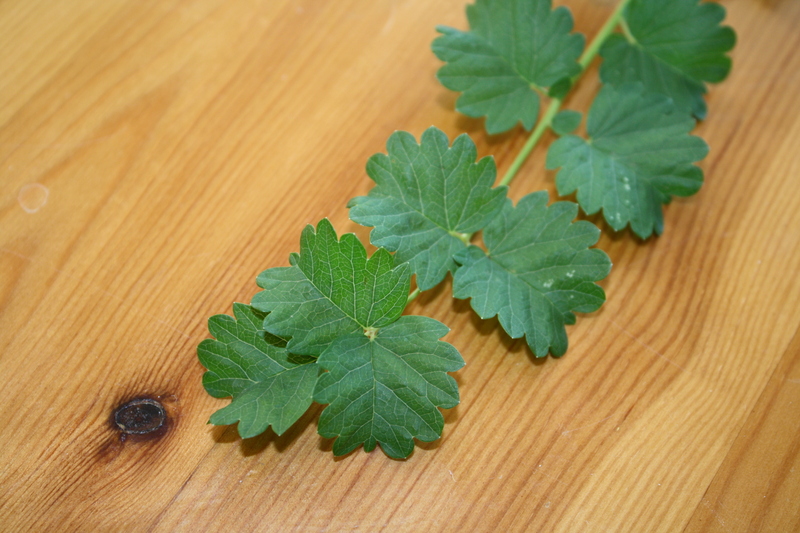 I like to use salad burnet in salads, of course, but it also can be used anywhere you would use parsley. I have tried it in a vinaigrette as well. Another use is in drinks, like you would use mint. Blend cheese with herbs and mayo or sour cream. Add the mustard and curry, blend in the chives. The herbs can be changed to whatever you like and is available. It can also be frozen. 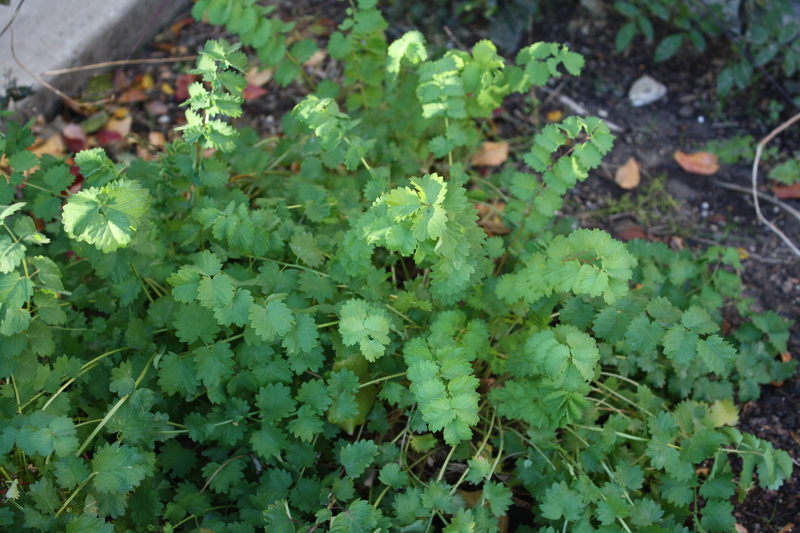 Give Salad Burnet a try and let me know what you think.